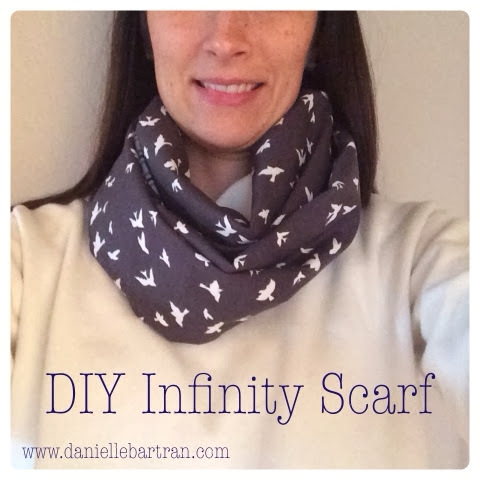 Although Christmas seems like an eternity ago, here is a really quick project that I made for my son's teacher for Christmas: an infinity scarf. I did not have enough of the bird fabric, so I had to line the interior with a white/grey fabric. To make this, I pieced together two strips of both (lining + exterior) fabrics (you can see the seam in the lower picture) to make 58" long strips, I cut both 10" wide. Sew with right sides together, then sew the the ends together carefully leaving an opening to flip the scarf through and hand sew the seam shut. This was an extremely easy project and it took almost NO time! I really want to make one for myself! 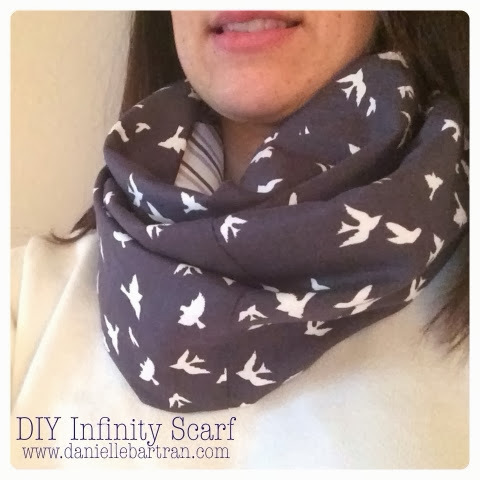 I used this tutorial from Shrimp Salad Circus for how to construct an infinity scarf.